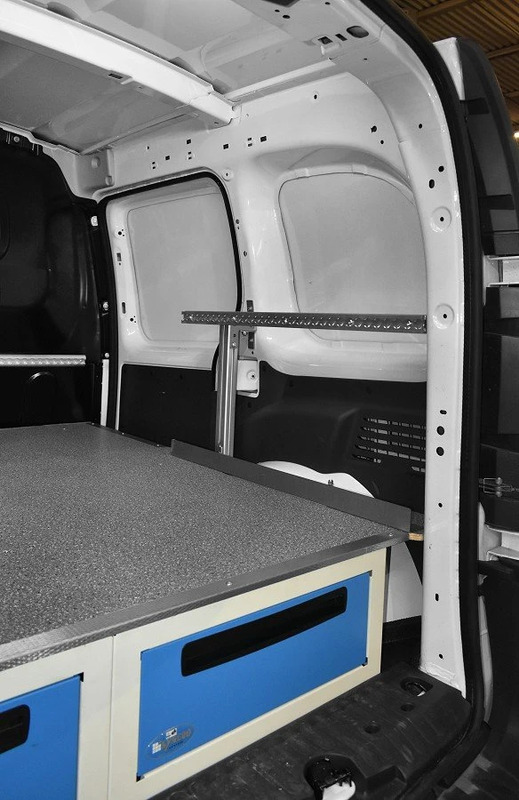 Everything you need to transform the new Mercedes city van into a real workshop on wheels! The German car manufacturer Mercedes decided to fill its small-van gap. The result is the Citan, short for CITY AND TITAN, from the brand with the trademark star. It has both polished and aerodynamic lines, and has been designed to transport cargo as well as passengers. 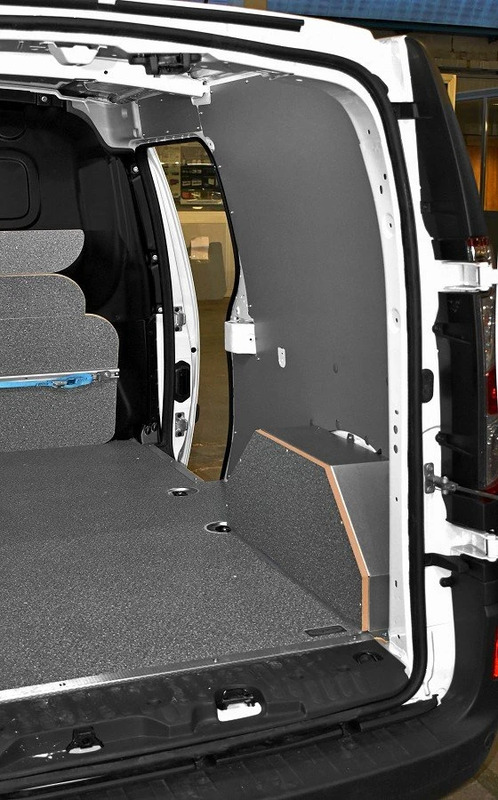 You could say the van has a double personality and depending on what upfit one envisions, it can be a convenient city van or a spacious 5-passenger car, or both without compromising between cargo space, crisp handling and low fuel consumption. 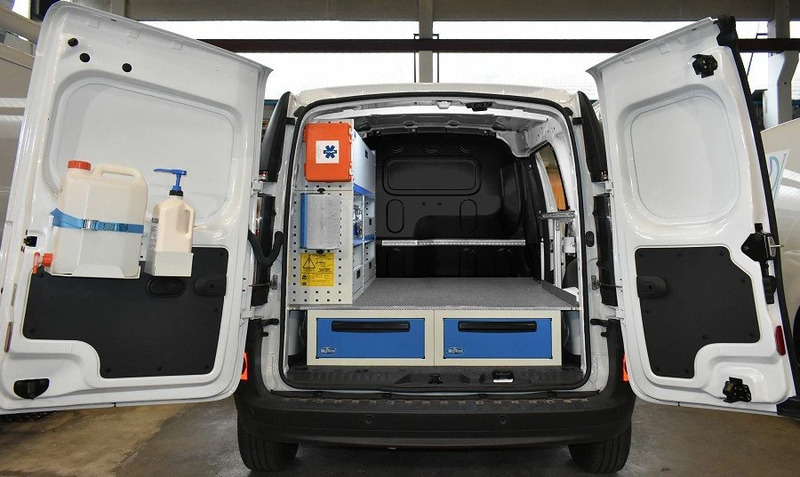 The Syncro System brand offers an extensive range of solutions for protecting and transforming your new Citan city van to exactly fit your work needs. 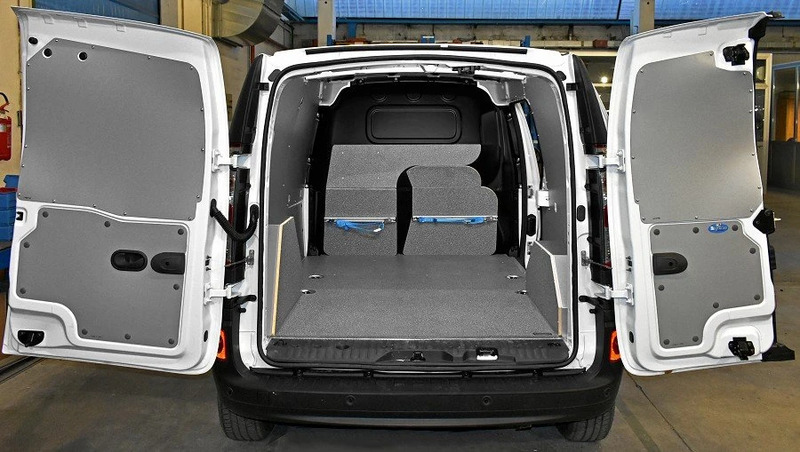 The Citan, like all other vans, comes with insufficient interior protection against the bumps and dents caused while loading and unloading or by cargo shifting during transport. 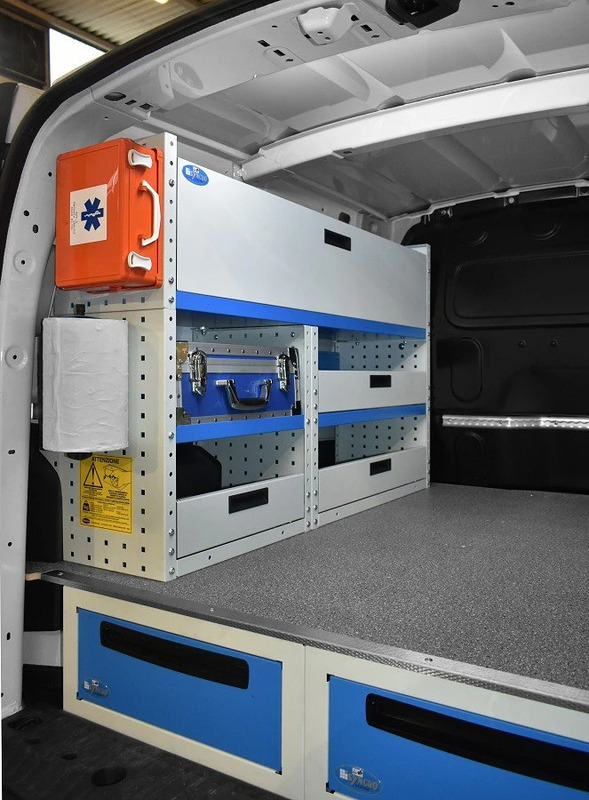 To avoid costly damage, Syncro offers a choice of floor panels in resin-coated plywood or chequered-plate aluminum, wall and door paneling in coated galvanized steel, in aluminum or alveolar plastic, bulkhead linings in wood or aluminum. Click for more examples of interior paneling and floor panels. 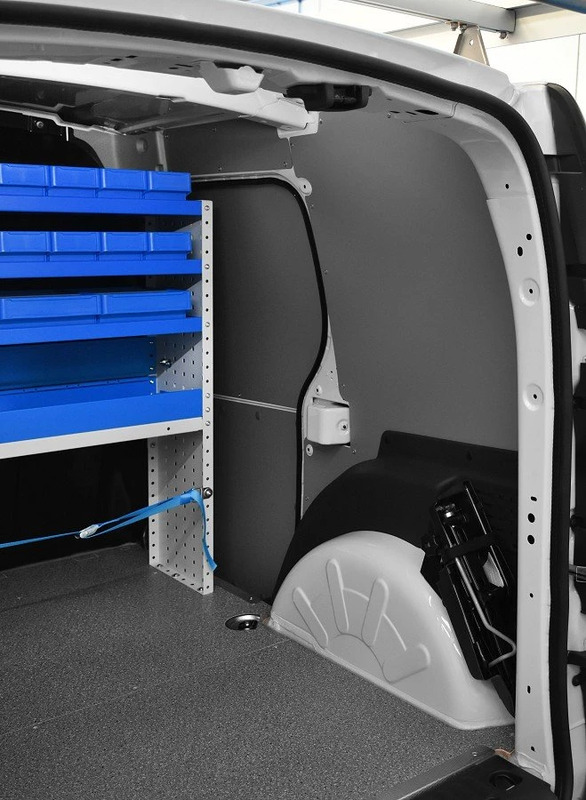 One of the most valued racking components for the Citan is the sub-floorboard drawer unit. 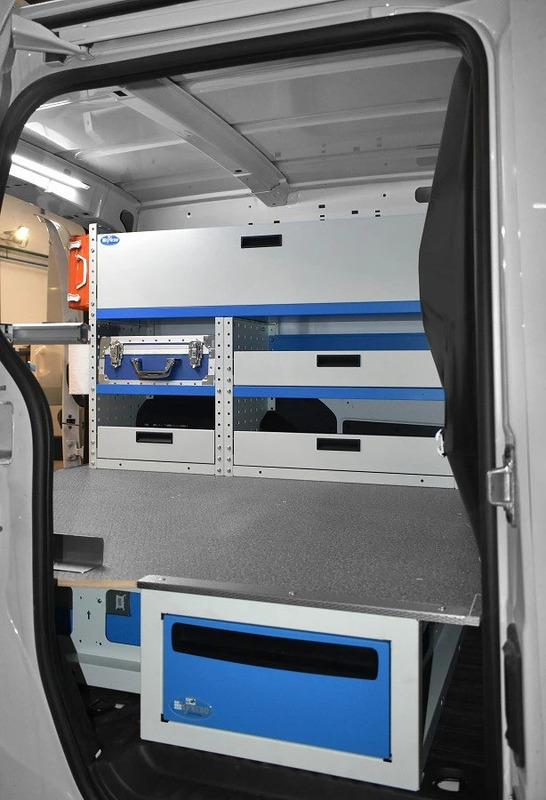 It allows for storage of large quantities of material and equipment while keeping the load area free. Drawers are available in two heights. 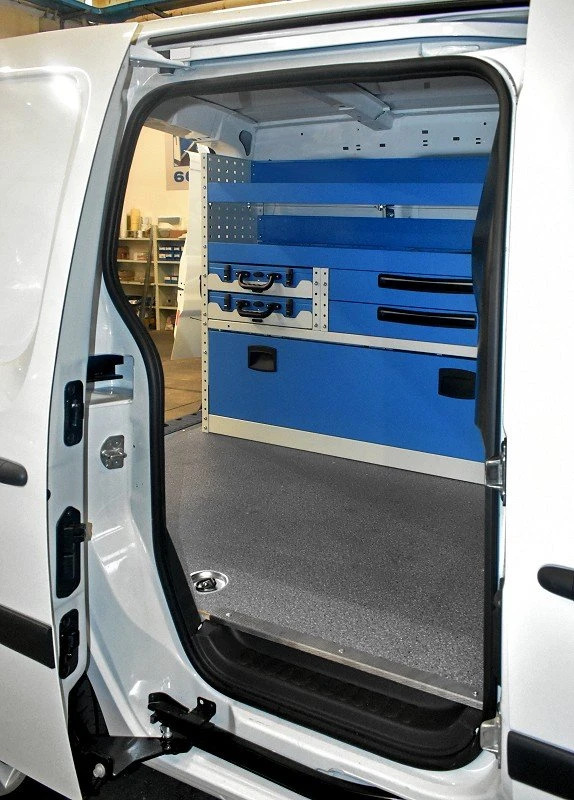 The Citan (with side door) can have three to six drawers: two units accessible from the back doors and one from the side. 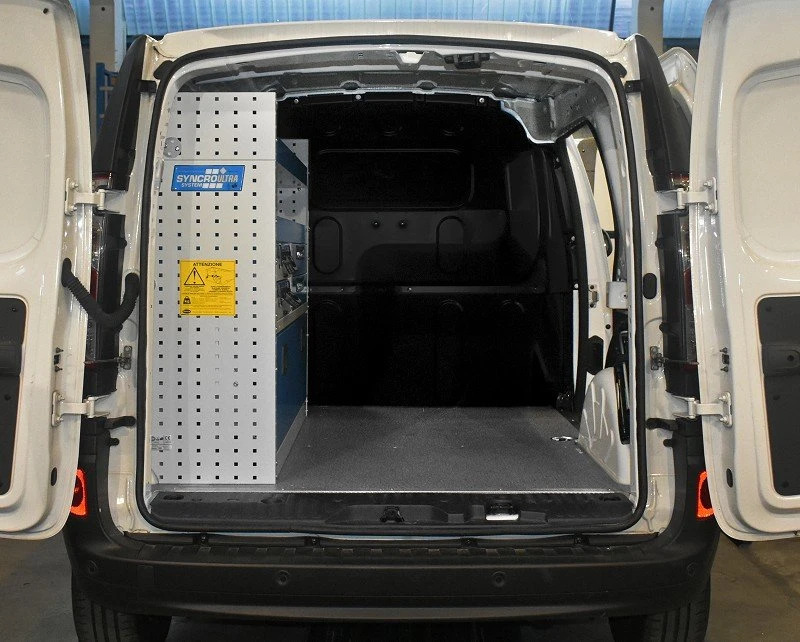 Thanks to their workman-tough construction, one can still load up to 800 kilos of cargo on the floor panel above the drawers. 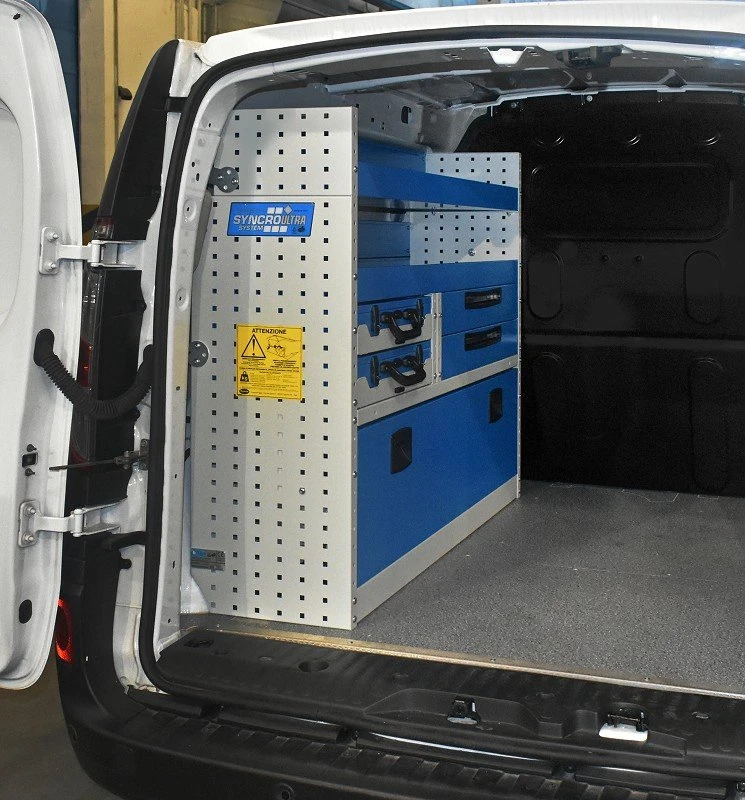 For the Citan racking units, there are a variety of shelving and drawer components, shelves, containers, carrying cases, and accessories. 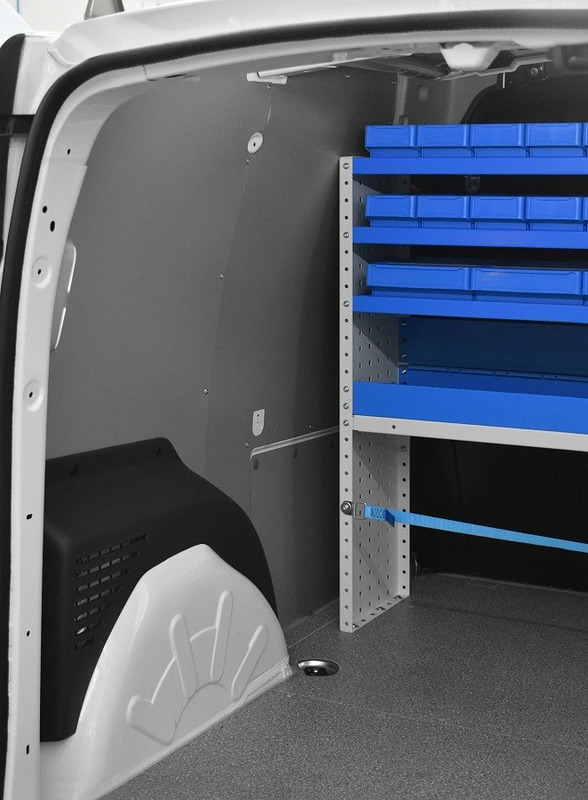 In these photos, we see a simple upfit with floor panel, shelving unit and wheel arch frame with door panel, on the left-hand side. 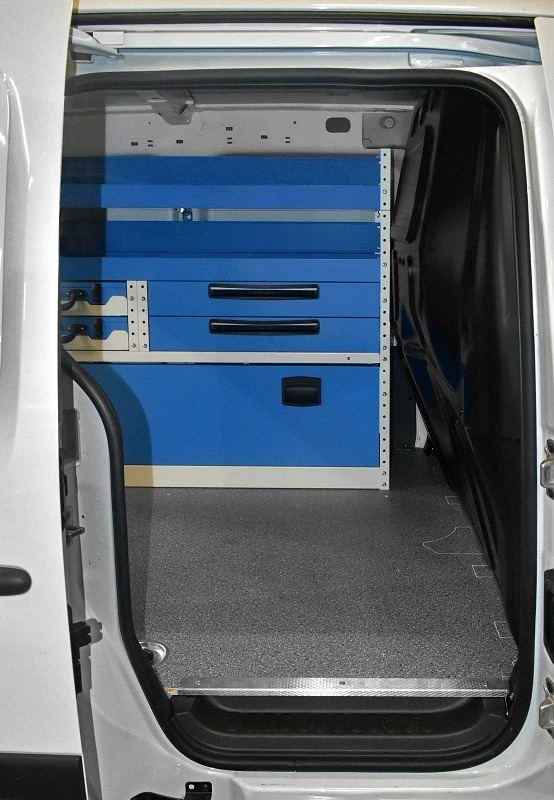 Another upfit consists of drawers of different sizes in metal and clear plastic – all with automatic locking mechanisms, plastic containers, straps for securing loads, and a powerful LED light. 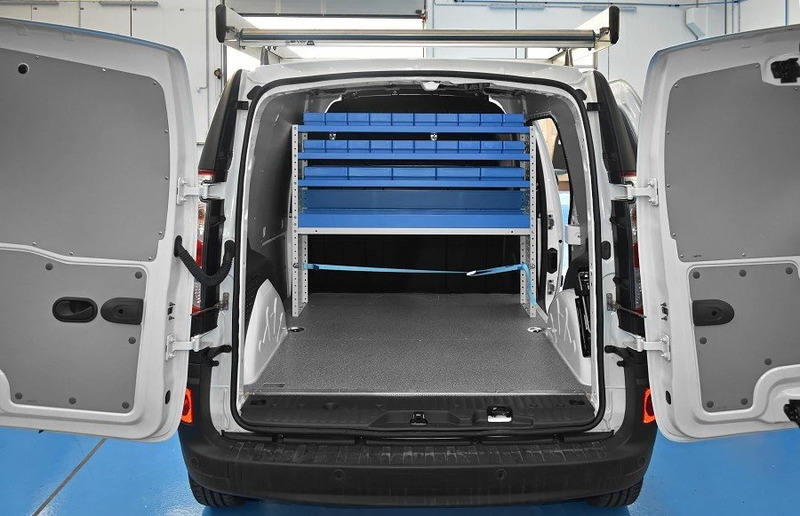 Syncro also has everything necessary for roof-top loading of your Citan: roof racks, roof-top load bars, ladder racks – all constructed with the Syncro exclusive Ultrasilent design, and easily arranged to fit every type of cargo. 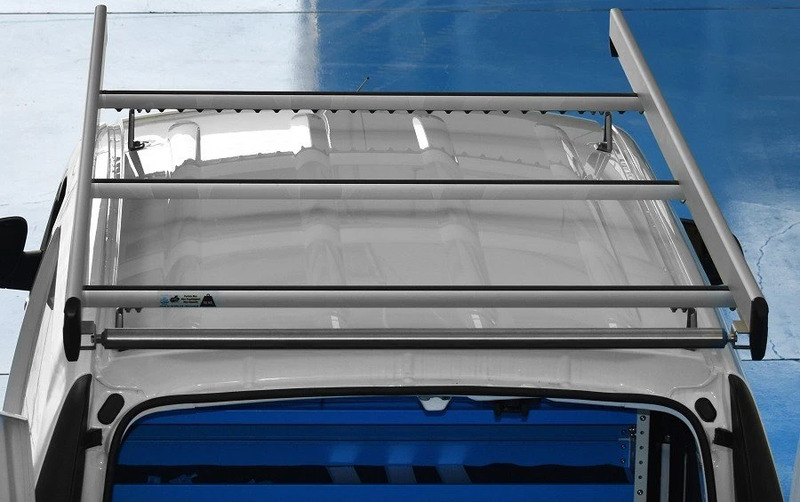 Click here for more about roof racks and roof-top loading. 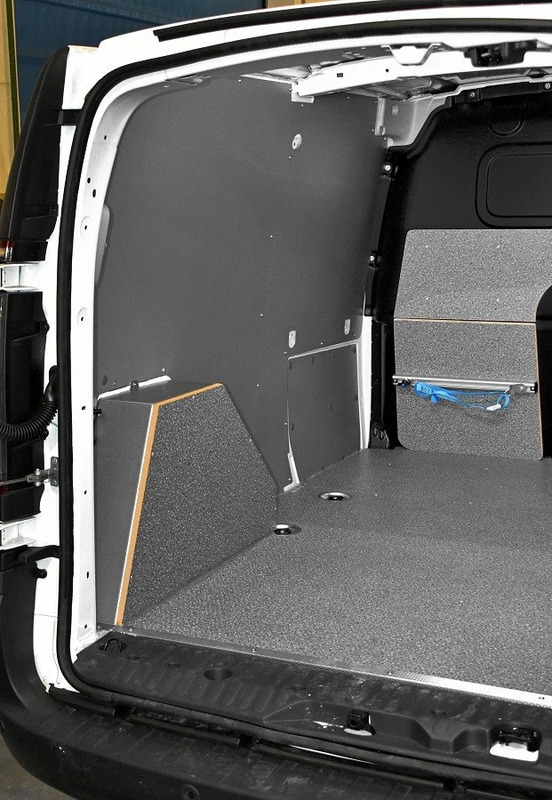 Click here for photos of a Citan interior protection. And here for more examples of Syncro upfits with roof racks.